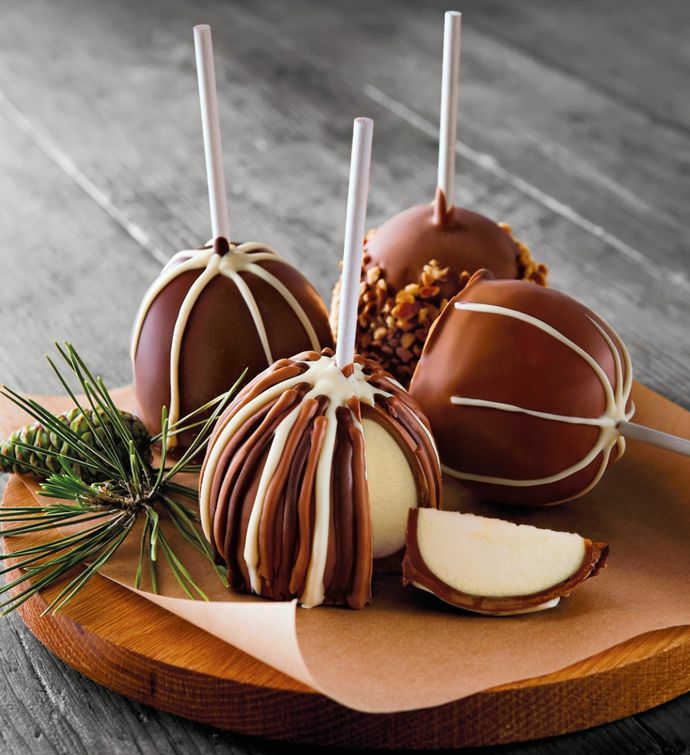 An elegant spin on the classic treat, these gourmet Chocolate Caramel-Covered Apples are individually hand-dipped in rich, buttery caramel and a blend of pure Belgian chocolate. Two are then decorated with milk or white chocolate stringing, and one is rolled in crushed almonds. Sticks are provided for optional use. Please refrigerate apples on arrival.